Archery hones kids’ precision and focus, develops their fine motor skills, and it’s also a lot of fun. The downside, of course, is that putting a sharp arrow and a heavy bow into the hands of child sounds like a recipe for disaster. 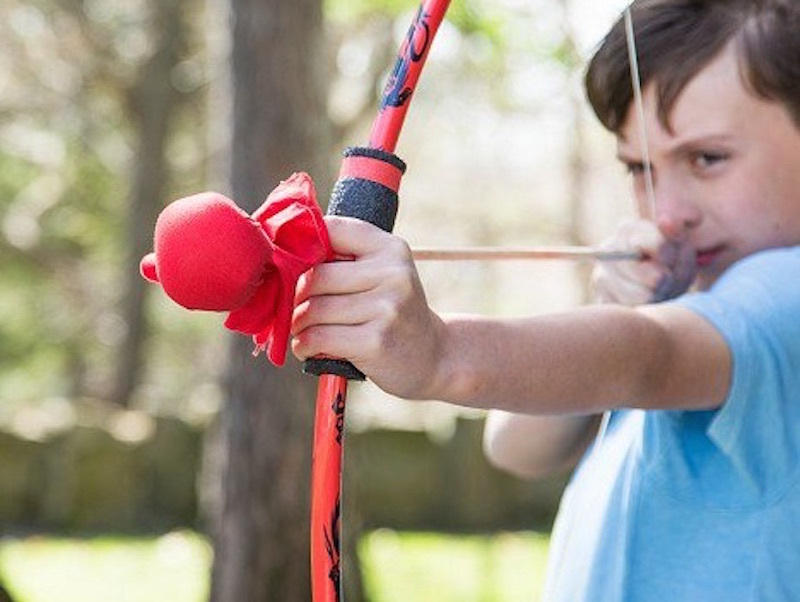 With this in mind, two young brothers, looking to make a little extra money, began creating kid-friendly, durable bow and arrow sets and selling them at local craft shows. Three years later Two Bros Bows is a million-dollar business that sells their unique and safer bows, arrows, quiver bags, and combo sets to more than 800 stores nationwide! The brothers (and their mom) who started it all are still involved with the business, but their team has grown to a dozen people as they continue to tweak and improve the bow and arrows design. Read on for more about this kid-powered business and its hand-assembled products. FYI: the soft arrowheads were designed to be bigger than an eye socket, so “You’ll shoot your eye out” isn’t a valid excuse for these kid-friendly toys. The arrows are kid-tested and foam-tipped and come in a variety of colors and patterns so kiddos can keep track of who shot which arrow. The bows, which are also tested for safety and which come with one arrow, have a nice, soft grip for kids to hold and are decorated with a pattern. The combination sets feature all your child would need for an afternoon of backyard fun including a bow, three arrows, a bullseye, and a quiver bag. We think the story behind Two Bros Bows is inspiring for our own little makers. Brothers Duncan and Hayden took out a $50 loan from their mom to craft their own bows and arrows, and making them became a family affair. The money that they earned from selling their initial designs was reinvested back into the company, which remains based in North Carolina, and their hard work and persistence has paid off many times over at this point. 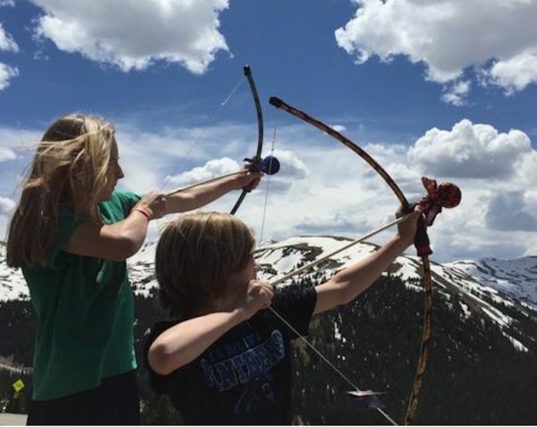 These brothers’ love for nature and outdoor play is now encouraging others to get outside and active while learning archery safely. For ages 6-12. Archery hones kids' precision and focus, develops their fine motor skills, and it's also a lot of fun. The downside, of course, is that putting a sharp arrow and a heavy bow into the hands of child sounds like a recipe for disaster. With this in mind, two young brothers, looking to make a little extra money, began creating kid-friendly, durable bow and arrow sets and selling them at local craft shows. Three years later Two Bros Bows is a million-dollar business that sells their unique and safer bows, arrows, quiver bags, and combo sets to more than 800 stores nationwide! The brothers (and their mom) who started it all are still involved with the business, but their team has grown to a dozen people as they continue to tweak and improve the bow and arrows design. Read on for more about this kid-powered business and its hand-assembled products. FYI: the soft arrowheads were designed to be bigger than an eye socket, so "You'll shoot your eye out" isn't a valid excuse for these kid-friendly toys.